Austin’s Parks and Recreation Department (PARD) is set to get much-needed funding! City Council formally adopted the new budget for next fiscal year on Tuesday, September 11th. This includes recommendations from City Manager Spencer Cronk and additional funding for recycling in parks and building maintenance. All told, there’s nearly $12.5 million in additional funding for Fiscal Year (FY) 2018-2019 compared to FY 2017-2018, thanks to the diligent work of parks advocates. Why is the city’s budget important for parks? Funding allocated to PARD through each budget cycle goes towards the operations and maintenance of our parks system. This includes staffing, general maintenance, and programming at our parks, recreation centers, cultural centers, and museums. Without annual funding from the city’s budget, our parks system and the no-to-low cost programming offered by PARD would disappear! 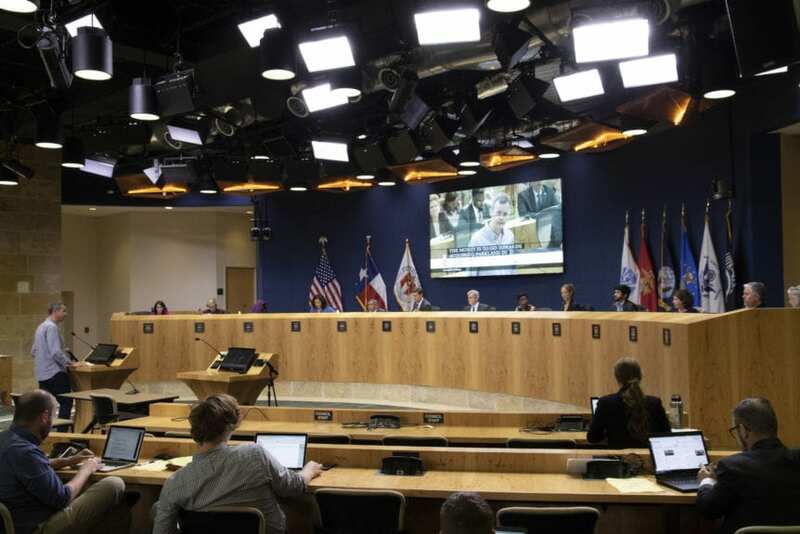 This funding comes from the city’s General Fund, which, at roughly $1 billion, funds most city operations except for Austin Energy, Austin Water, and the airport. What was newly funded in this year’s budget? We’re so grateful to everyone who joined us at City Hall for meetings with Council offices and at the two Budget Hearings where City Council took comment. Your work made this possible! We’d like to thank City Manager Cronk and staff in the Budget Office for covering many of these much-needed funds in his initially proposed budget, as well as Council Members Leslie Pool and Alison Alter for their leadership in adding funding for citywide parks recycling and building maintenance to the new budget. Lastly, we thank City Council for listening to the public and including this essential funding in our upcoming city budget!